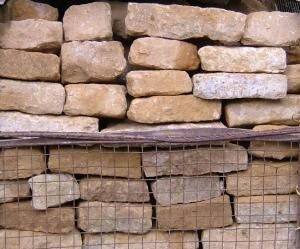 Please bear in mind that our stone stocks are changing continually, so please contact us to see what our current stock levels are. Well Weathered reclaimed building stone. Price : £105.00 square face yard PLUS VAT. Old Weathered reclaimed building stone. 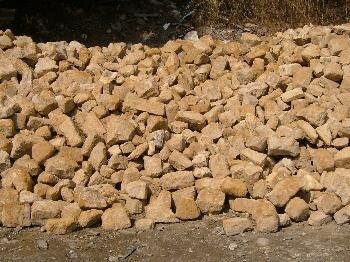 Description : Reclaimed "Stone Stable Cobbles". Some new, but weathered stone quoins. Price : £50.00 per cubic foot PLUS VAT. 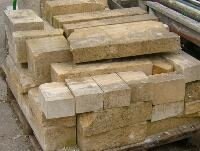 Some large Reclaimed Cotswold stone quoins. From a local house demolition. 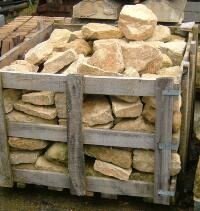 A crate of hand sorted Reclaimed Cotswold building stone.We have approx. 24 square yards of this batch in stock : each crate has approx. 4 square yards in it. Price : £105.00 per square yard PLUS VAT. Crate of reclaimed stone quoins. Description: A crate of various new, but reclaimed, stone quoins. Some of these are up to 915mm (36") long. Quite square edged. Price : £40.00 per cubic foot PLUS VAT. 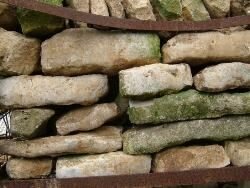 Description: Reclaimed stone quoins : from a local, demolished coach station. . 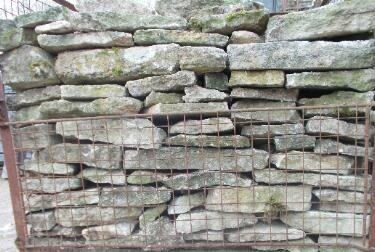 Approximately 50 square yards of Reclaimed Cotswold Building stone. It is hand sorted into crates of approx. 8 square face yards per crate. £105.00 per square face yard PLUS VAT. 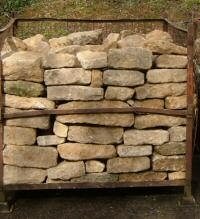 A crate of hand sorted reclaimed "Horton" building stone. At present we have in stock approx. 30 square yards. 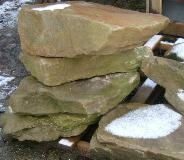 Description: A selection of large reclaimed rockery stone. Size: An average size 610mm (24") long × 330mm (13") deep × 230mm (9") high. £20.00 per piece including VAT. 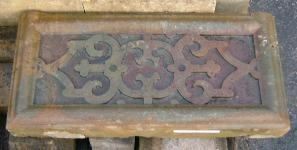 Description: An antique carved stone motif from a local Manor House. Size : 900mm (35.5") long x 420mm (16.5") wide x 127mm (5") thick. Price : £200.00 including VAT. 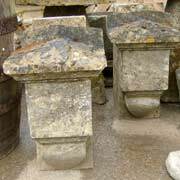 Description: A pair of Antique (probably 19th Century), reclaimed "Kneeler stones" from a roof gable. These could be used as "Corbel stones" with some minor adaption. 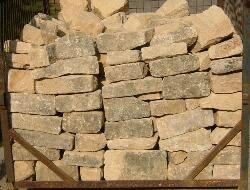 Description: A run of reclaimed natural, weathered Cotswold stone surface water drainage channel. Could be used as a water feature ? Description: A reclaimed carved stone with the initials "W.C" carved into it. Dated 1890 from a building in Swindon Old Town. One of a pair, the other one being the actual date stone SEE BP007. Description: A Victorian "Date Stone" reclaimed from a building in Swindon Old Town. Dated "1890". One of a pair with the letters "W.C." carved into it. Price upon application : At the present time we are selling these @ £50.00 per cu.ft plus vat (£58.75 including vat). Reclaimed random size building stone. Although we have this in stock at the present time the supply of this product is subject to availability.